A portion of the piece is available for purchase using Ethereum and Bitcoin. 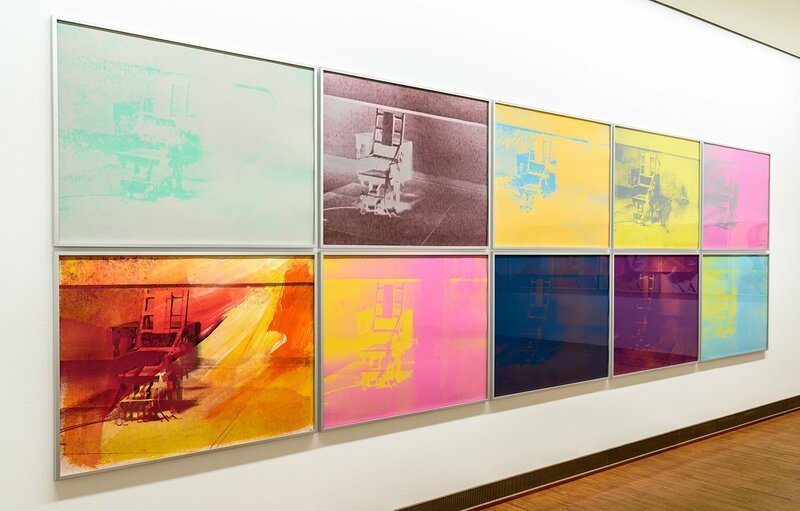 In an interesting turn of events, a portion of Andy Warhol’s 1980 artwork “14 Small Electric Chairs” is being auctioned off for cryptocurrency. According to a report from Forbes, 49% of the Warhol piece is up for grabs via cryptocurrency such as Ethereum and Bitcoin. The auction is currently scheduled to take place on June 20th and is being held by Dadiani Fine Art in partnership with the blockchain platform Maecenas Fine Art. Right now, “14 Small Electric Chairs” is valued at $5.6 million (around 730 Bitcoin). A reserve price for the piece has been set at $4 million, and all interested buyers are required to comply with local regulation in order to prevent money laundering. The Warhol auction isn’t the first time artwork has been purchased with cryptocurrency. Back in January, four paintings were bought with cryptocurrency at Art Stage Singapore. However, this is the first time a piece from such a prolific artist has been auctioned for cryptocurrency at such a high price point, 730 Bitcoin ($5.6 million). Meanwhile, Maecenas chief executive Marcelo Garcia Casil noted that the sale will “help transform the art market.” So, if you have 730 Bitcoin on hand and are interested in owning a piece of Warhol history, be sure to mark June 20th’s auction on your calendar. While you wait for the auction's start date, what do you think of luxury purchases using cryptocurrency? Do you think more companies will incorporate cryptocurrency into auctions like this one? Let us know your thoughts down in the comments below!